We teach our children to value, respect and understand the different cultures and religions that make up Britain today. These British values are inherent throughout our school, where children are enabled to explore and understand both their Jewish heritage as well as what it means to be British. The school actively promotes British values through tefillah and assemblies, with careful planning including relevant cross-curricular links. We have also implemented whole-school initiatives such as a successful democratically elected School Council. 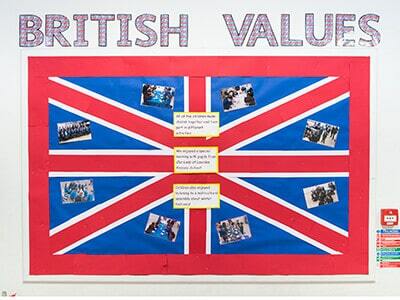 At Sacks Morasha, British values are reinforced regularly and in the following ways. Democracy is an important value at our school. Pupils have the opportunity to have their voices heard through our Student Council. They are also asked for their views through pupil questionnaires. 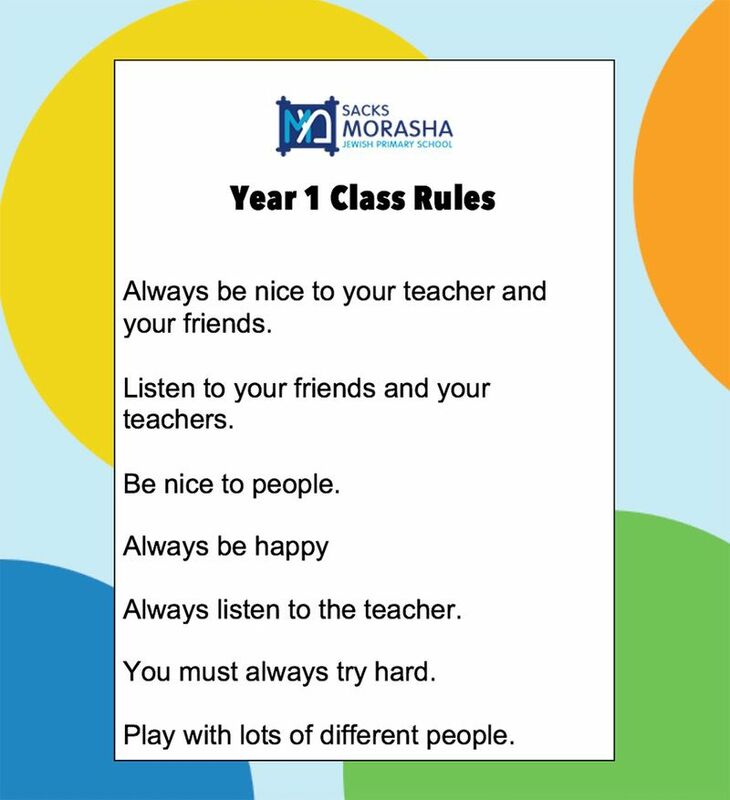 Core values are also taught by our SMART school initiative, which is based on important Jewish values: Simcha, Middot, Achdut, Ruach and Torah. Every month we have a new middah (focus) – e.g. respect for others – that is discussed both with the Chol and Kodesh teachers, showing a joint unified approach. On Rosh Chodesh, every class discusses the new middah and the children agree to work together on this new value. The SMART initiative is a consensus between pupils and staff on how to behave. 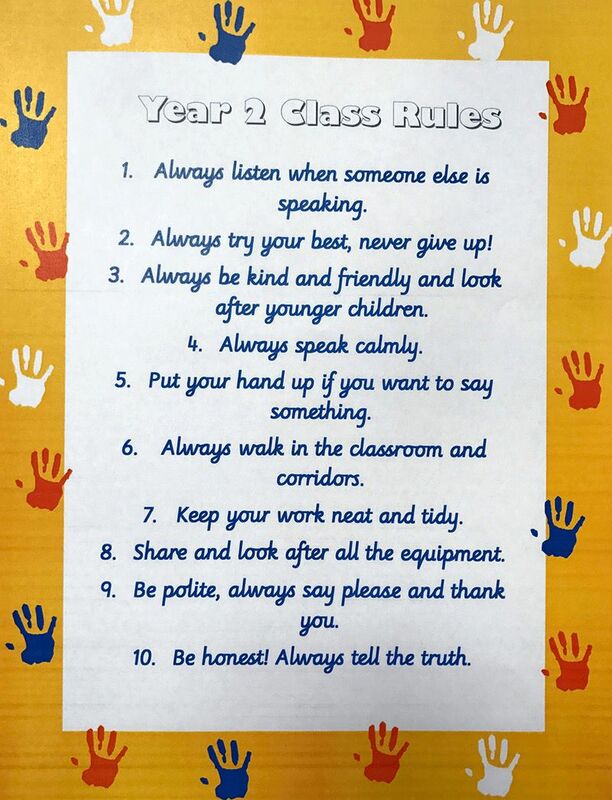 The importance of laws and rules – whether they are those that govern the class, the school or the country – are consistently reinforced throughout regular school days. Our behaviour system in both the school and in the playground is clear to all children. Pupils are taught the values and reasons behind laws and rules: that they govern and protect us both in our school and in our country. Pupils also learn about the responsibilities they have as citizens, both of our school and our country, as well as the consequences when rules and laws are broken. Visits from authorities such as the police and the fire service are a regular part of our curriculum and help reinforce this message. To encourage and promote good behaviour, attitude and work, we have devised a reward system that is consistently followed throughout the school. We are committed to praising children’s efforts. We endeavour to praise the children informally, individually, during group work, in front of the whole class and in front of the whole school. Rewards are given in the form of ‘Dojo’ points, house points, ‘SMART’ certificates and ‘Work of the Week’. Pupils are actively encouraged to make choices at our school, knowing that they are in a safe and supportive environment. As a school, we provide boundaries for our children to make these choices safely, through the provision of a secure environment and a well-planned curriculum. Pupils are encouraged to know, understand and exercise their rights and personal freedoms, and are advised how to exercise these safely. For example, our e-Safety programme encourages children to be safe and savvy users of technology. Pupils are also given the freedom to make choices such as signing up for extra-curricular clubs they might enjoy. Children can also select their food at lunchtime and can choose healthy options. 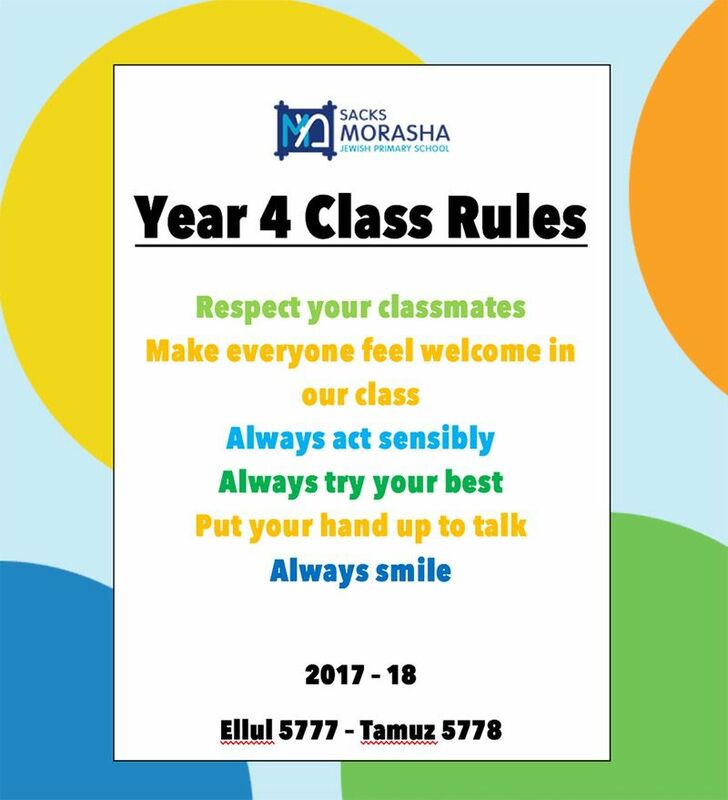 Our school ethos and behaviour policy are based around core Jewish (and British) values such as respect and responsibility, and these values determine how we function as a community at Sacks Morasha. This is achieved through enhancing pupils’ understanding of different ethnic groups that make up our culturally diverse society. We also teach respect and tolerance of different people and different faiths. We use opportunities such as the Olympics and the World Cup to study and learn about life and culture in other countries. We work with agencies like Three Faiths Forum, which aims to build understanding and positive relationships between people of all faiths and beliefs. 1. We all need to be nice to everyone. 2. On the carpet we wait quietly. 3. In Reception we share all the equipment with our friends. 4. We listen to all of our teachers. 5. 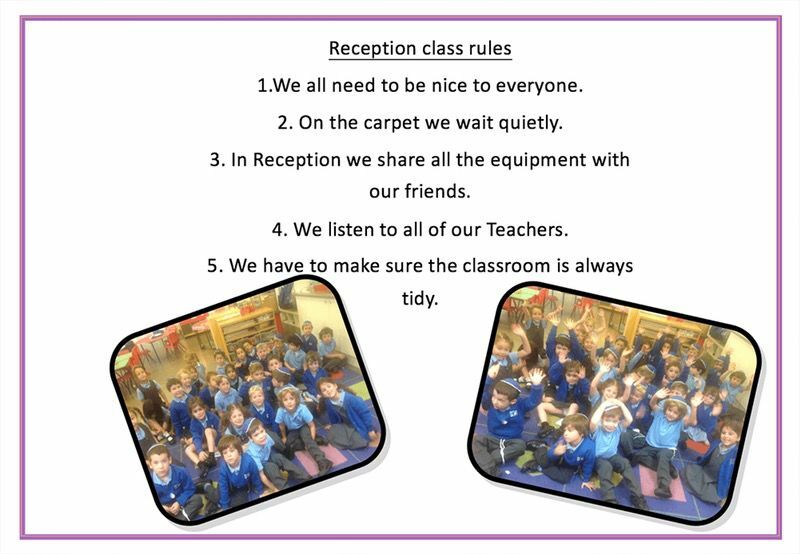 We have to make sure the classroom is always tidy. 1. Always be nice to your teacher and your friends. 2. Listen to your friends and your teachers. 3. Be nice to people. 4. Always be happy. 5. Always listen to the teacher. 6. You must always try hard. 7. Play with lots of different people. 1. Always listen when someone else is speaking. 2. Always try your best, never give up! 3. Always be kind and friendly and look after younger children. 4. Always speak calmly. 5. Put your hand up if you want to say something. 6. ALways walk in the classroom and corridors. 7. Keep your work neat and tidy. 8. Share and look after all the equipment. 9. Be polite, always say please and thank you. 10. Be honest! Always tell the truth. 1. Put your hand up when you have finished and don’t leave your seat. 2. Don’t go into the classroom without a teacher. 3. Tuck your chairs in when you leave your seats. 4. Always listen when someone else is talking. 5. Keep the classroom tidy. 1. Respect your classmates. 2. Make everyone feel welcome in our class. 3. Always act sensibly. 4. Always try your best. 5. Put your hand up to talk. 6. Always smile. 1. Treat everyone in the same way no matter how they look or act. 2. 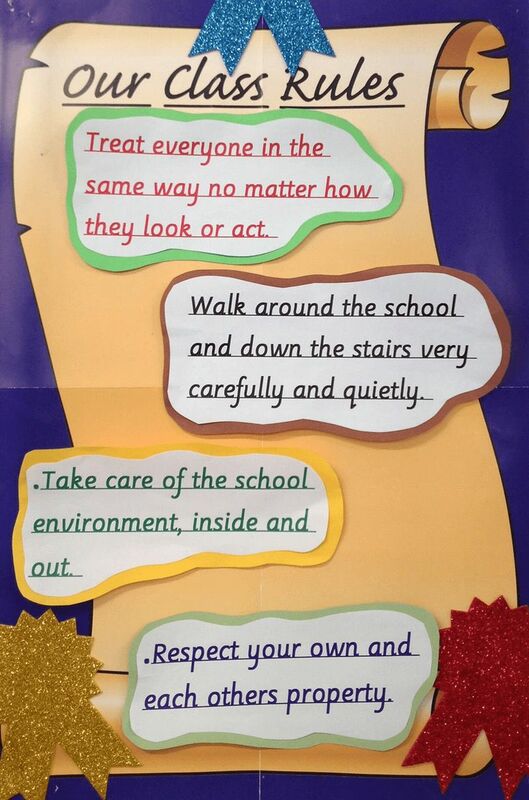 Walk around the school and down the stairs very carefully and quietly. 3. Take care of the school environment, inside and out. 4. Respect your own and each other’s property. 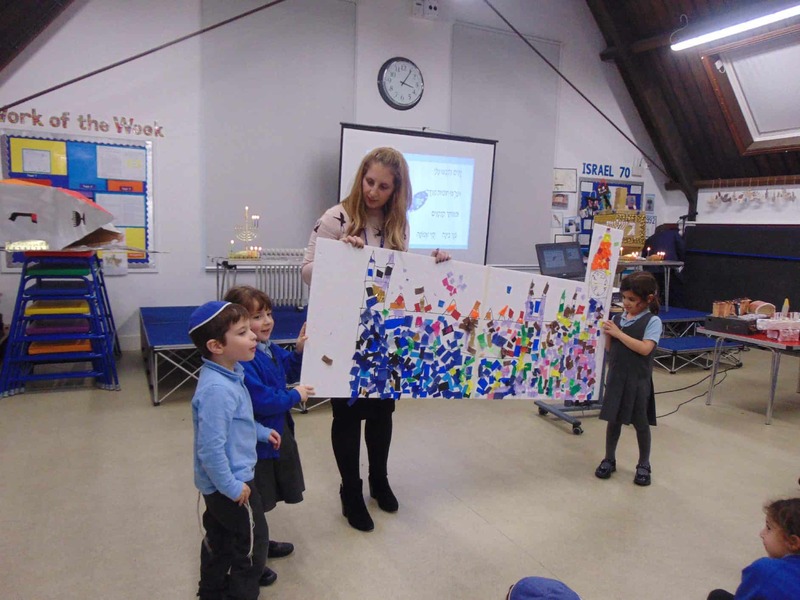 Links between Chanukah and British Values During Chanukah, there were many opportunities to integrate Chol and Kodesh lessons and activities. 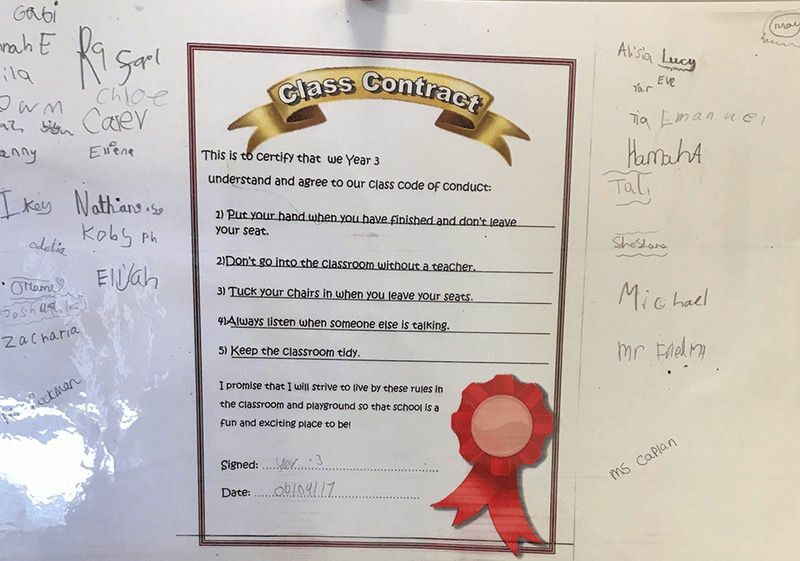 Classes were taught the rules of what constitutes a Kosher Chanukiah and then they applied these rules to the construction of their own class Chanukiot. Each class was given a specific theme. In Reception, the children designed a Chanukia based on the structure of the Houses of Parliament, with Big Ben representing the shamash. Year 1 looked at the design of Tower Bridge and constructed their Chanukiot linked to the opening of the bridge. 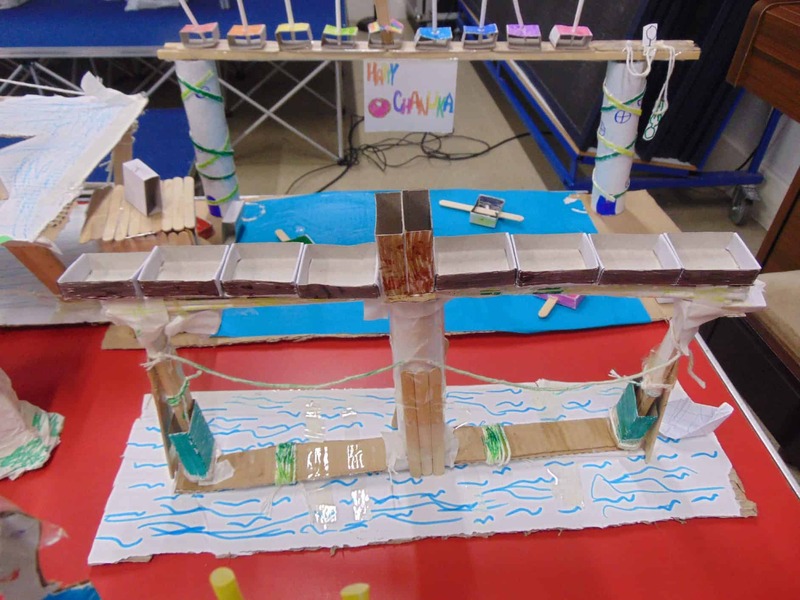 The theme for Year 6 was the design of suspension bridges, focusing on the Millennium Bridge in London and the Gateshead Bridge. All classes discussed the features, context, materials and construction of the bridges. As part of the school’s link to the local community, Year 1 visited a residents of a retirement block of flats during Chanukah. They lit the candles and sang a variety of Chanukah songs. All classes came into class and self-registered by having an SMJPS passport. They wrote their name, nationality, date of birth and place of birth. 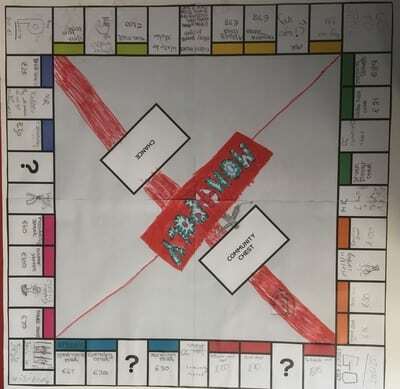 To understand what democracy is the pupils, in their houses, each made a group Monopoly board. We explained how the United Kingdom is split into 4 countries and is run as a democracy which means the people get to vote for who they want to run the country. We explained that they do this by voting in a political party who has a leader that becomes Prime Minister. Lots of different parties and members of parliament make up parliament. Children were given the option to vote for which of the 4 countries they would like to base the Monopoly board on. Children used ballot cards in their groups to vote and also got to vote for who was team leader in their group. They created a Monopoly board based on this and researched that country. say and do what they think or be who they want to be within the rule of law. 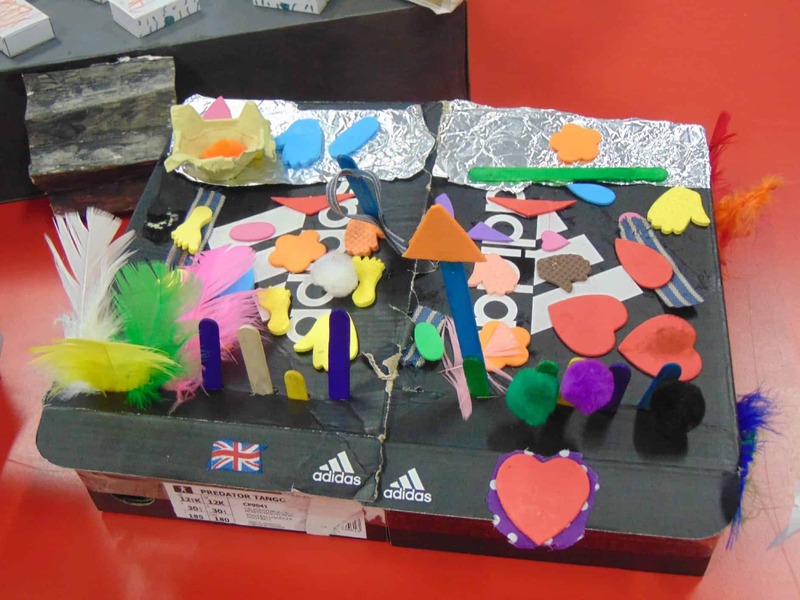 Out of clay, each pupil created themselves as a piece/character that went on the board. They understood that they have the right to be whoever they want and got to make themselves with their own individual identity. To help pupils understand Rule of Law and rules in Britain, they created Chance and Community Chest cards about keeping and breaking the laws. As well as positive ones! you didn’t use your phone while driving.